Only 8 signed shirts left! 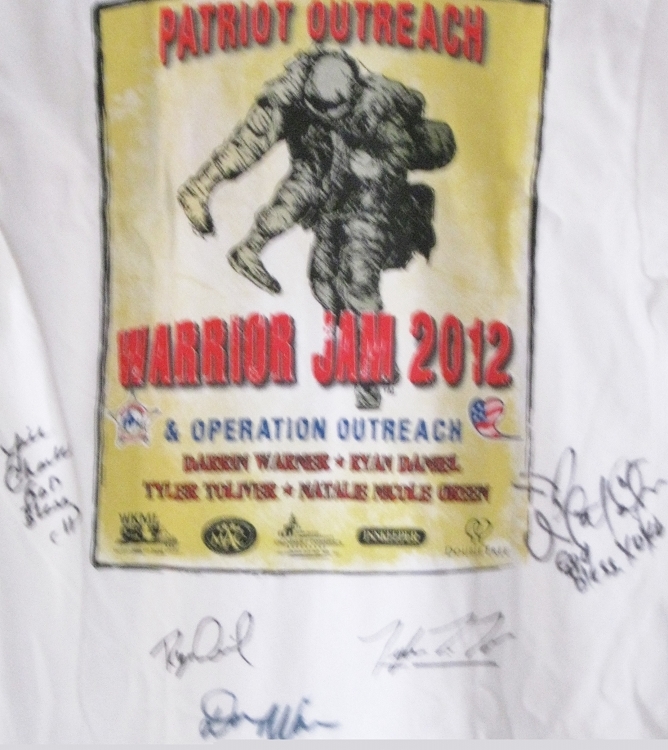 White Warrior Jam 2012 t-shirt signed by the artists. Comes in S, M, L, XL, and 2XL. Only 8 left!